President Donald Trump praised Judge Brett Kavanaugh for his testimony during an emotional hearing on Capitol Hill Thursday. The Senate Judiciary Committee hearing first featured testimony from Kavanaugh’s accuser, Christine Blasey Ford, before allowing the judge to respond to her allegations. 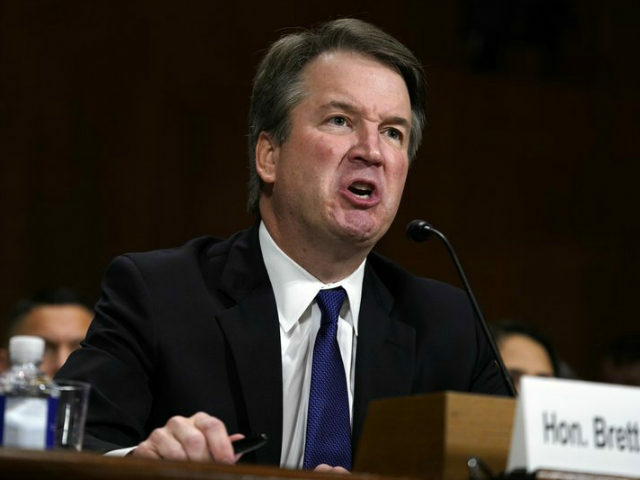 Kavanaugh delivered a raw, emotional opening statement, criticizing Senate Democrats, leftists, and the media for trying to destroy his reputation and his family. Trump criticized Democrats for the last-minute hearing and their treatment of his Supreme Court nominee. Trump’s son, Donald Trump Jr., also praised Kavanaugh.